Some of the best winter treks in India are found in Uttarakhand, and feature high up on the list of any trekker looking for dramatic and gorgeous vistas. On a winter trek in Uttarakhand, you’ll find pine-scented forests covered in snow, boulder-strewn paths, and wooden bridges over gushing rivers, as well as grassy high-altitude meadows, and windy mountain passes, making this a spectacular experience. Ascend to the top of Nagtibba at 10,000 feet, on this easy trek. 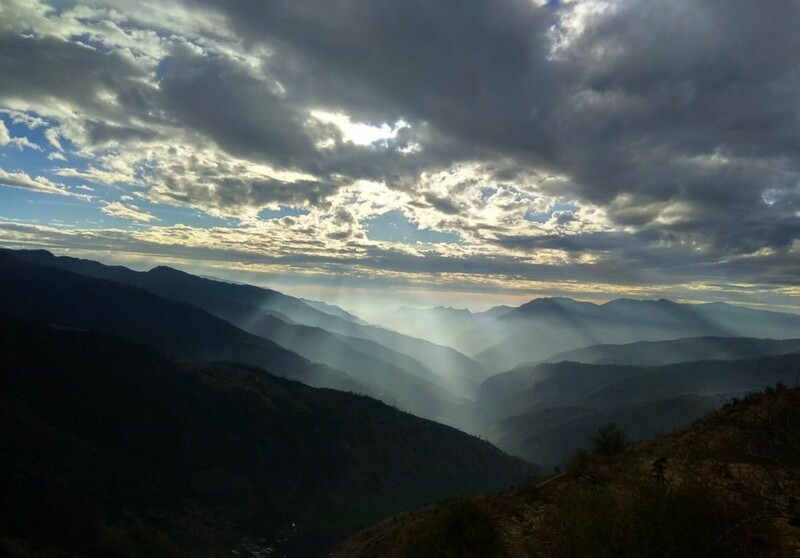 This is one of the top winter treks of Uttarakhand because it is fit for beginners and takes you high upi into the mountains on the first day itself. The trail winds through oak forests, sparkling streams, and takes you up to very pretty campsites with spectacular views. 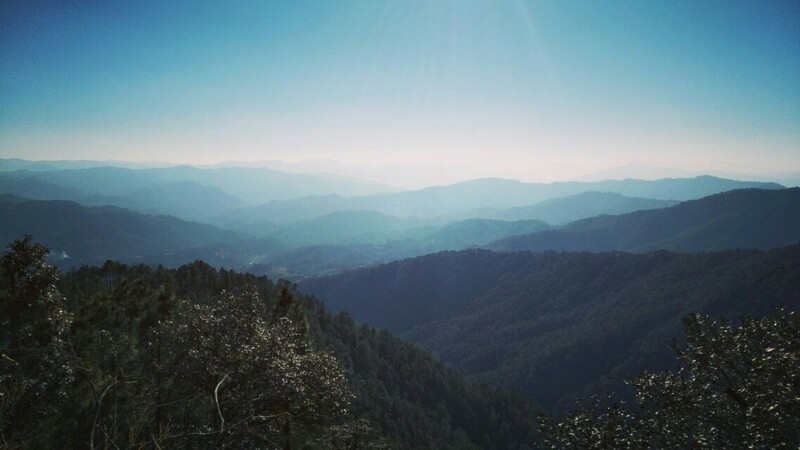 Binsar lies in the Kumaon region of Uttarakhand, and is home to barking deer, leopards, the Himalayan black bear, and the sambhar. A Binsar winter trek takes you through alpine forests, past ancient temples and charming villages, and long trails lined with rhododendron trees. As you hop over sparkling streams, you'll enjoy the sounds of nature, and the views of peaks like Nanda Devi, Trishul, Nanda Ghunti, Panchachuli, and the Kumaon Himalayan range. 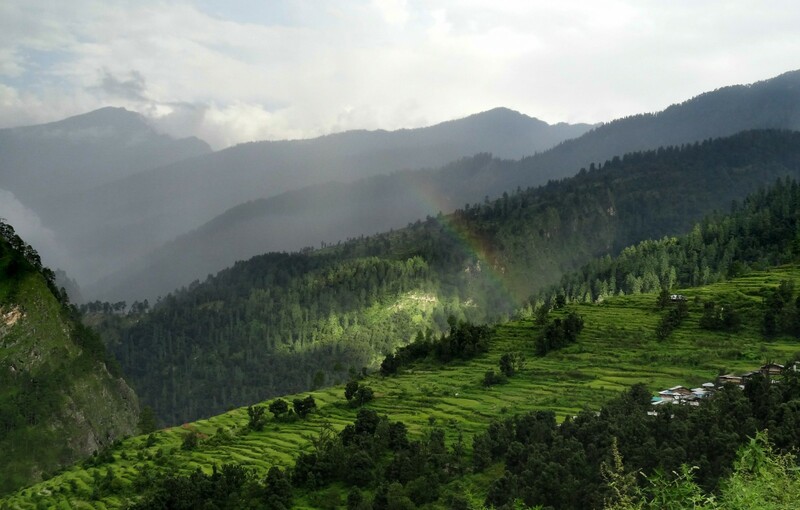 Chopta is a quaint hill station in the Kedarnath wildlife sanctuary and it is popularly known as the 'Mini Switzerland’ of India, thanks to its gorgeous pine forests and sprawling meadows. It’s a good trek all year round, but in the winter, it becomes one of the top winter treks in Uttarakhand because of the Christmas-card landscape. It’s a moderately easy trek, but the climb to the small peak of Chandrashila offers a fun challenge. 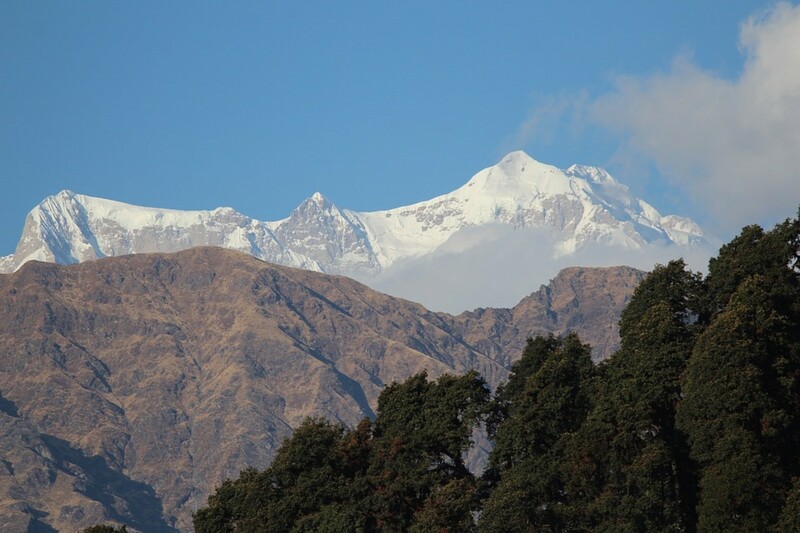 The Chandrashila peak is at 13,123 feet and is home to Tungnath, the highest Shiva temple in the world. From the top, the panoramic views of the mighty Himalayas is ample reward. The Dayara Bugyal trek is considered to be one of the most beautiful treks in Uttarakhand. It goes up into the scenic high-altitude meadows, and is an easy trail that everyone, even beginners, can handle. 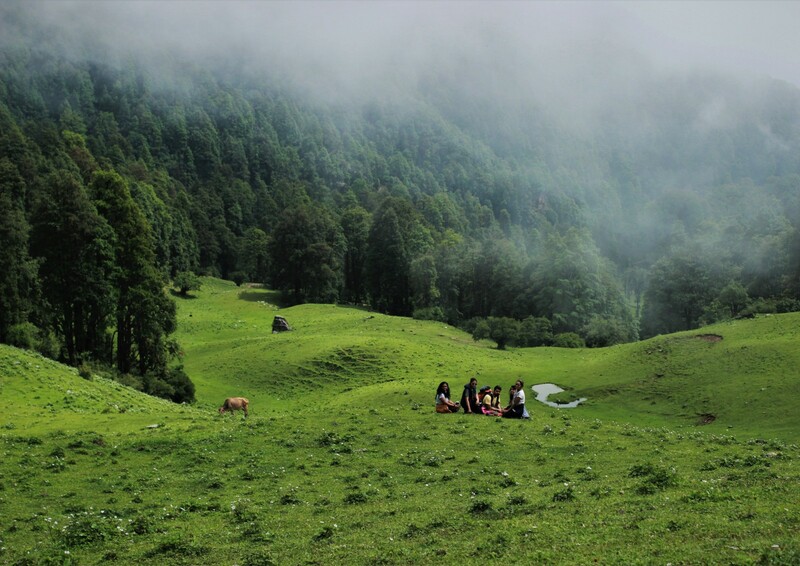 The Dayara Bugyal trek begins at Barsu and takes you through old oak and pine forests, up to an altitude of more than 10,000 feet above sea level. You’ll visit the famous alpine lake near Barnala Bugyal, and you’ll see famous peaks like Kala Nag, Bandar Poonch, the Gangotri Massif I and II, among others. 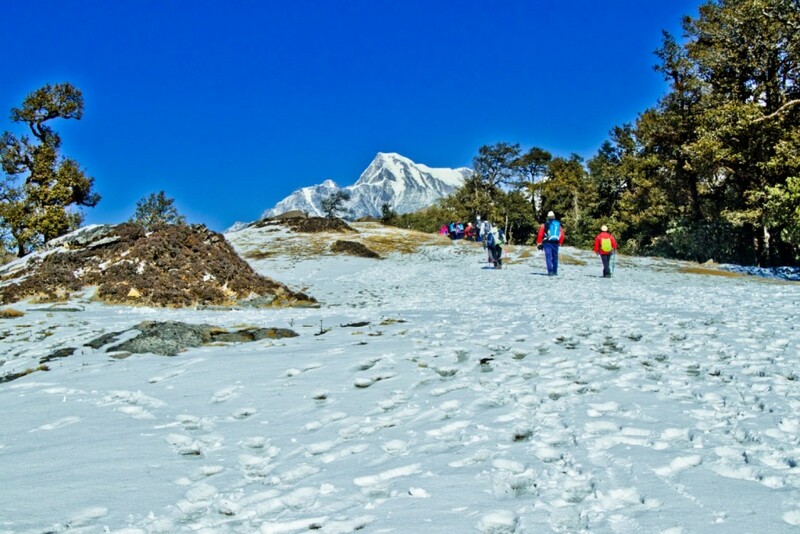 The Dayara Bugyal winter trek is popular as the slopes are covered with a blanket of white, turning the meadows into a paradise for snow treks and skiing. The Kedarkantha trek is one of the top winter treks in Uttarakhand because of the mountain’s easy accessibility throughout the year. Kedarkantha is a beautiful ridge peak in the Tons River Valley, Uttarakhand, India. At 12,500 feet, the summit offers stunning 360-degree views of some of the highest Himalayan peaks like Bandarpoonch, Swargarohini, and Black Pearl. 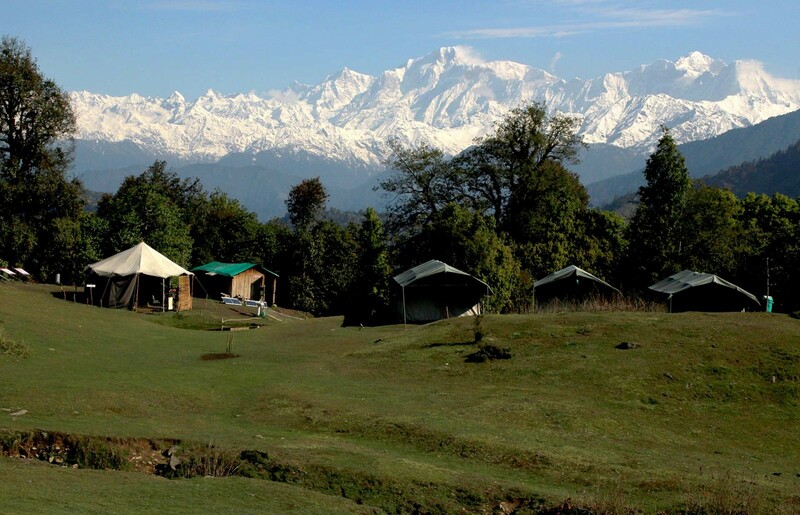 The Kedarkantha trek lets you camp at Juda-ka-Talab, one of the prettiest campsites around, set alongside a small pond amidst oak and pine forests. The best time to visit is between December and March, when the landscape turns from beautiful to spectacular. This Kedarkantha winter trek in Uttarakhand will take you along a trail that is completely covered with thick, pure white snow. Brahmatal is a high altitude lake which is believed to be the place where Lord Brahma meditated millions of years ago. What is unique about this trek is that even though the trail doesn't climb to the highest of altitudes, it offers stupendous views of some high peaks. 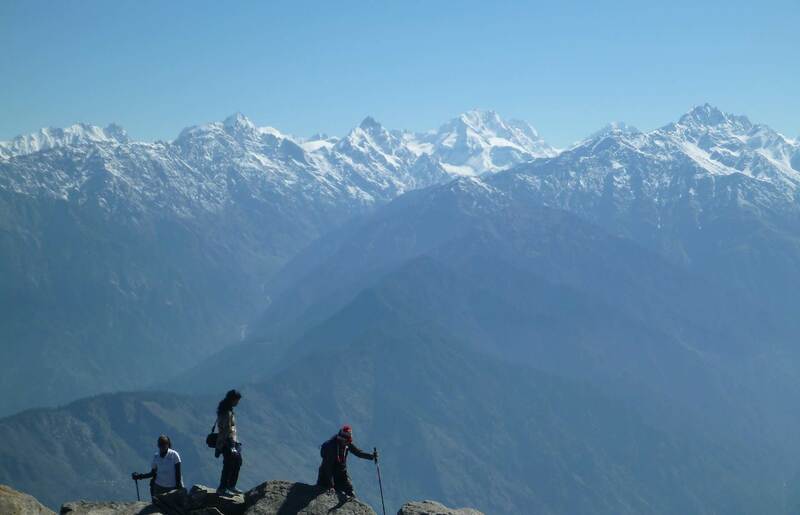 In fact it is the only trail in the country that offers views of summits over 7,000 meters at such close proximity, making it one of the easier winter treks in Uttarakhand. A small alpine lake and dense forests adds to the beauty and is a treat for shutterbugs. This is an easy to moderate trek and is suitable for fit beginners, but you can expect some low temperatures in winter, so do come prepared. The Kuari Pass trek is a popular trek all year round, but it becomes especially gorgeous in winter. The trails are covered in snow, and you’ll have stunning views of the landscape blanketed in white. During this trek, you’ll get to see how winter completely transforms the green pine forests and the stark rock faces into sparkling white perfection. The trail gives you some of the finest views of Himalayan giants like Nanda Devi, Dronagiri, and Trishul. It is said that the views on the Kuari Pass winter trek are the best in the Indian Himalayas. Har ki dun, which translates to the Valley of Gods, is one of the least winter snow treks in Uttarakhand. The Har ki Dun valley lies at the base of the Fateh Parvat at 11,646 feet in the Govind Wildlife Sanctuary and National Park which is a stunning region in itself. Your trek is a mix of peaceful walks and adventurous ascents with some steep climbs. The trail takes you through apple orchards, green valleys, wildflowers, and streams everywhere. This top winter trek in Uttarakhand offers spectacular views of the other famous peaks in the region such as Banderpoonch and Swargarohini.